The plum curculio Conotrachelus nenuphar (Herbst) (Coleoptera: Curculionidae) is a major pest of pome and stone fruit, but will also attack other fruits. Males produce the aggregation pheromone grandisoic acid; emitting only the (+)-enantiomer which is attractive to both sexes of the univoltine and multivoltine strains, while the synthetic racemic mixture contains optical isomers with equal amounts of (+)- and (−)-enantiomers. Synergy between odours can increase trap captures and improve monitoring techniques, therefore tests were performed in a dual-choice olfactometer with odours attractive to plum curculios according to literature to determine 1) under what physiological conditions (mating status, age, starvation period) these odours are attractive or repulsive, 2) if the (+)-enantiomer or the odour of live males synergizes with host plant volatiles, and 3) if there is a difference in response between plum curculio strains. Females were exposed to: benzaldehyde; trans-2-hexenal; apples; extracts of: plums, apples, blueberries; grandisoic acid; and live males. Plum essence was found to be the most attractive host-plant odour for both immature and mature virgin females, and immature whole apples were attractive to starved females, while trans-2-hexenal, McIntosh apple essence, benzaldehyde along with the combination of benzaldehyde and plume essence was found to be repulsive. 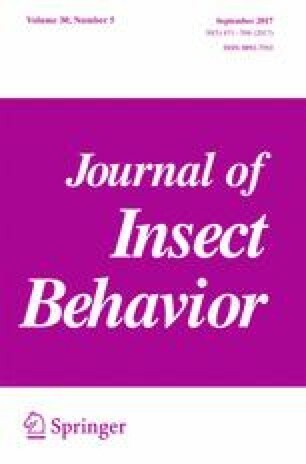 Starvation, age, and mated status all influence response to odours. No synergistic or additive affects were observed between any of the odour combinations tested, including the combination of both the natural and synthetic pheromone and plum essence or apples. We would like to thank Starker Wright of the USDA as well as the technicians, interns, and staff at IRDA for their assistance in the laboratory and in the field. We would also like to thank André Pichette for supplying the grandisoic acid. These studies were supported by a grant from Programme de soutien à l’innovation en agroalimentaire de Ministère de l’Agriculture, des Pêcheries et de l’Alimentation du Québec (Québec, Qc. ).